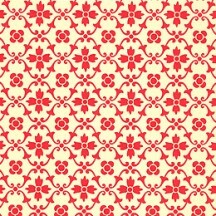 1 sheet measuring 19.5" x 13.5" of tiled floral print Florentine paper in shades of red with metallic gold accents. Acid free and printer friendly. Made in Italy by Rossi. 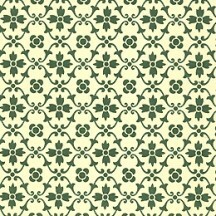 1 sheet measuring 19.5" x 13.5" of traditional print Florentine paper in the Tiled Floral Pattern with metallic gold accents. Acid free and printer friendly. 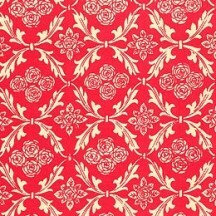 Printed in Italy by Rossi. 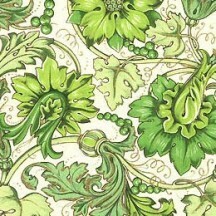 1 sheet measuring 19.5" x 13.5" of traditional print Florentine paper in the Green Grapes pattern with metallic gold accents. Acid free and printer friendly. 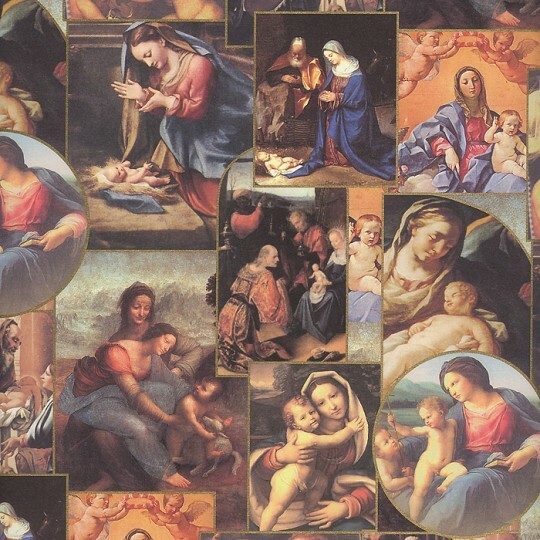 Printed in Italy by Rossi. 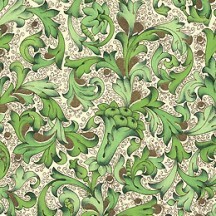 1 sheet measuring 19.5" x 13.5" of Florentine vine print paper in green. 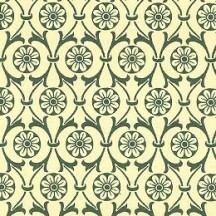 Small circular flowers measure 1/2" across. Acid free and printer friendly. Made in Italy by Carta Varese. Paper weight is 100 gsm and background is a warm deep ivory color. 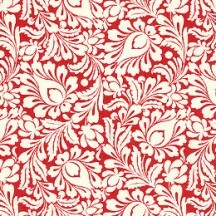 1 sheet measuring 19.5" x 13.5" of Florentine vine print paper in red. 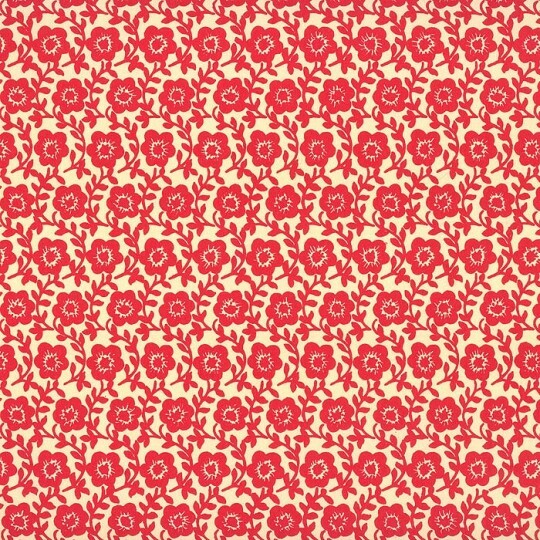 Small circular flowers measure 1/2" across. Acid free and printer friendly. Made in Italy by Carta Varese. 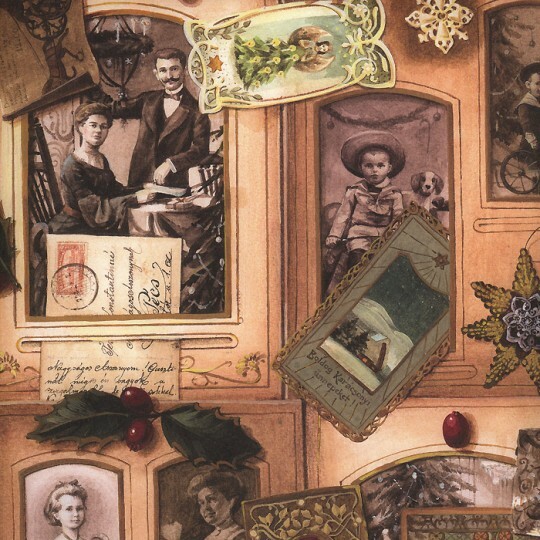 Paper weight is 100 gsm and background is a warm deep ivory color. 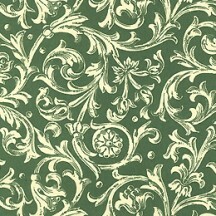 1 sheet measuring 19.5" x 13.5" of traditional print Florentine paper in shades of green with metallic gold accents. Acid free and printer friendly. Made in Italy by Carta Fiorentina. 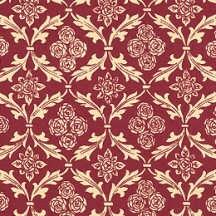 1 sheet measuring 19.5" x 13.5" of traditional print Florentine paper in shades of red with metallic gold accents. Acid free and printer friendly. Made in Italy by Carta Fiorentina. 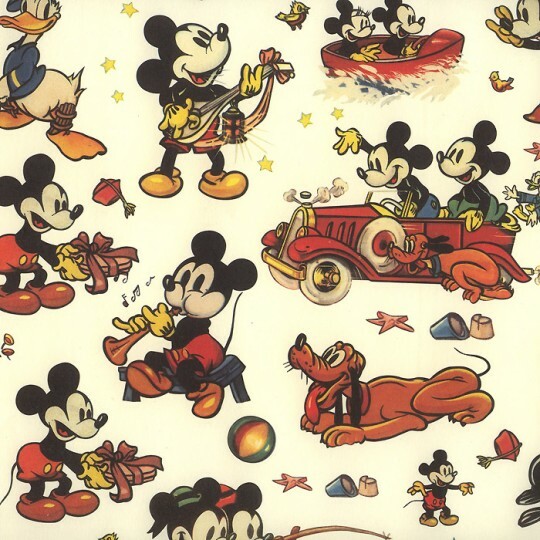 1 sheet measuring 19.5" x 13.5" of Italian paper featuring Mickey Mouse and friends. 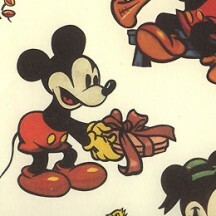 Mickey in the red car vignette measures approximately 2-1/2" x 4". Acid free and printer friendly. Made in Italy by Carta Fiorentina. 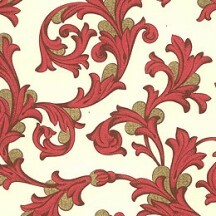 1 sheet measuring 19.5" x 13.5" of traditional print Florentine paper in shades of red with metallic gold accents. Acid free and printer friendly. Made in Italy by Rossi. 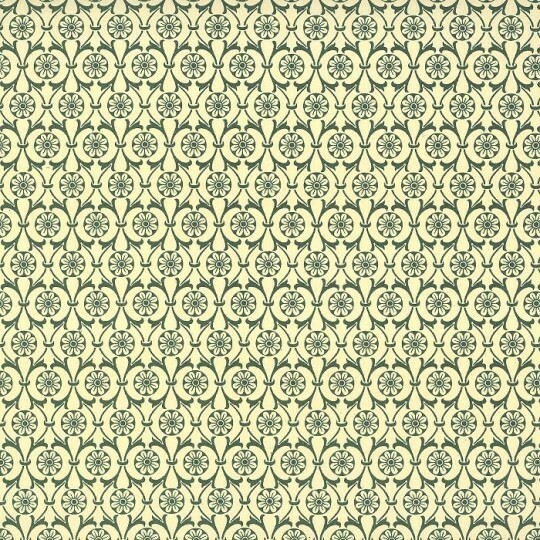 1 sheet measuring 19.5" x 13.5" of flower wheel print paper in green. 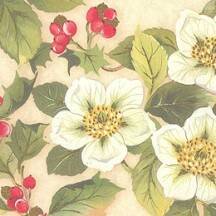 Each small flower measures 3/8" across. Acid free and printer friendly. Made in Italy by Carta Varese. 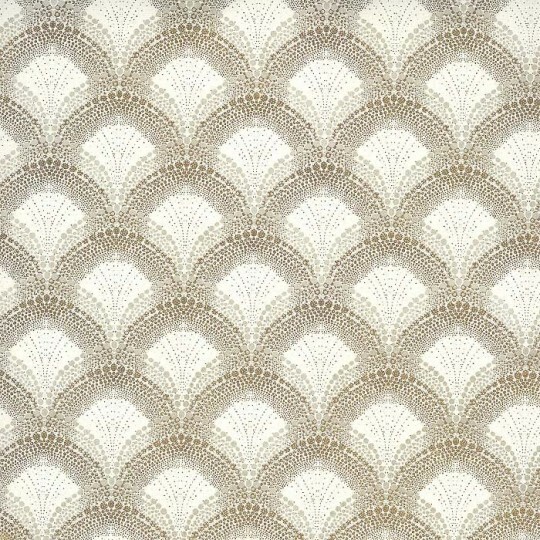 Paper weight is 100 gsm and background is a warm deep ivory color. 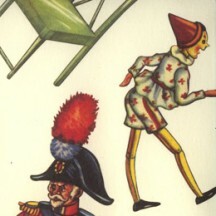 1 sheet measuring 19.5" x 13.5" of Italian paper featuring Pinocchio in different scenes. Whale is 1-3/4' tall to top of spray. Acid free and printer friendly. Made in Italy by Carta Fiorentina. 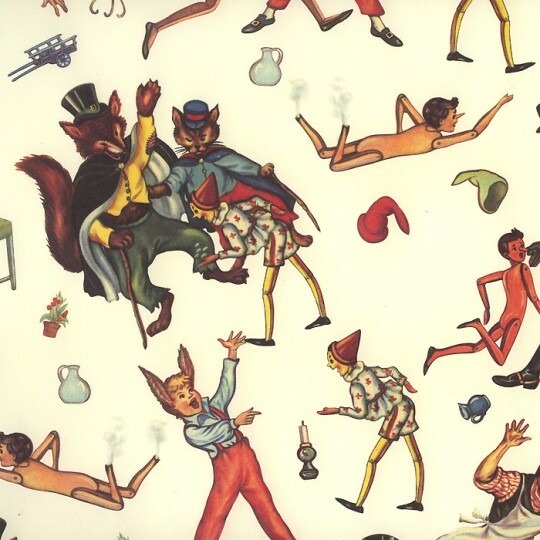 1 sheet measuring 19.5" x 13.5" of Italian paper featuring Pinocchio and characters from his story. 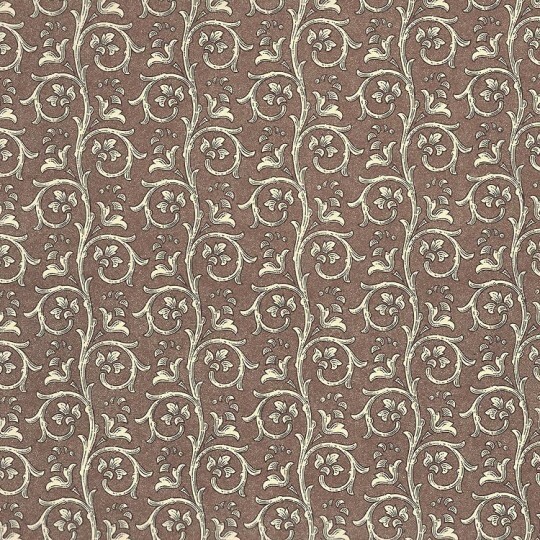 The fox and the cat vignette measures approximately 4" x 4". Acid free and printer friendly. Made in Italy by Carta Fiorentina. 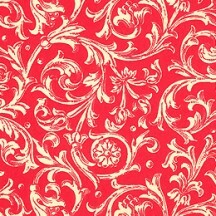 1 sheet measuring 19.5" x 13.5" of traditional print Florentine paper in red with metallic gold accents. Acid free and printer friendly. Made in Italy by Rossi. 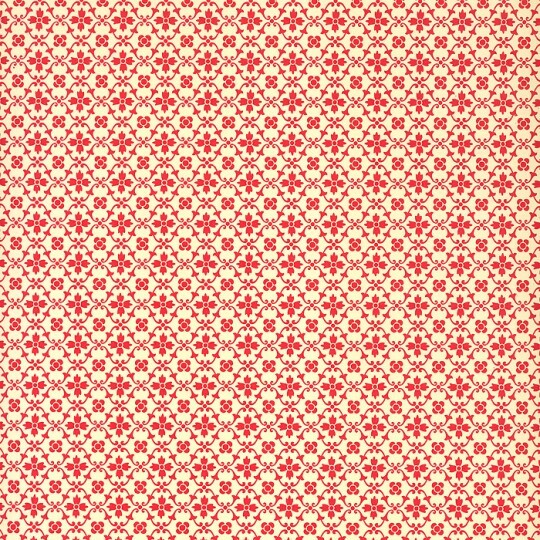 1 sheet measuring 19.5" x 13.5" of geometric print Italian paper featuring detailed squares with smaller geometric designs in green and red. Acid free and printer friendly. 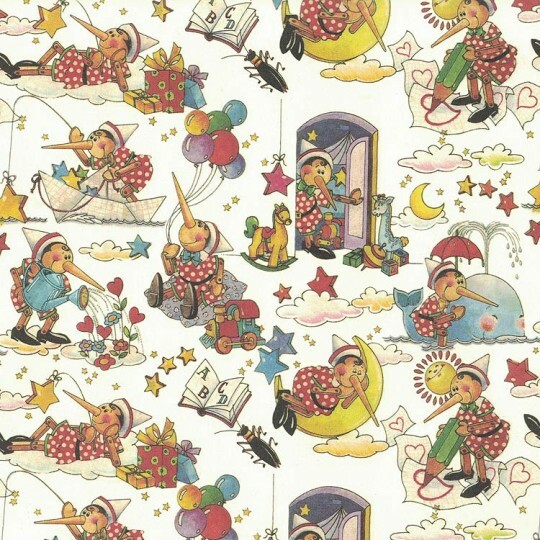 Printed in Italy by Tassotti. 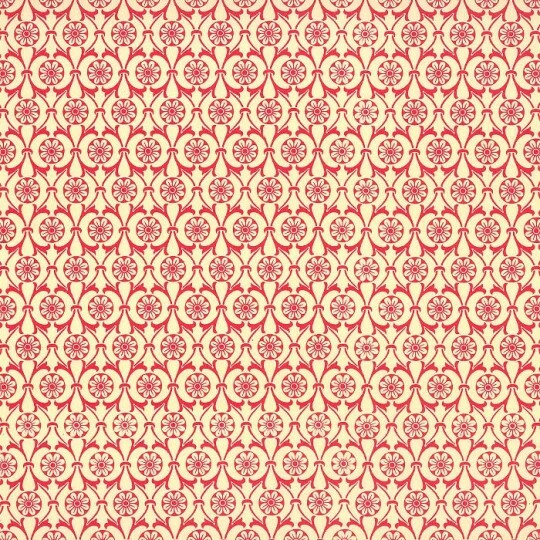 1 sheet measuring 19.5" x 13.5" of flower wheel print paper in red. 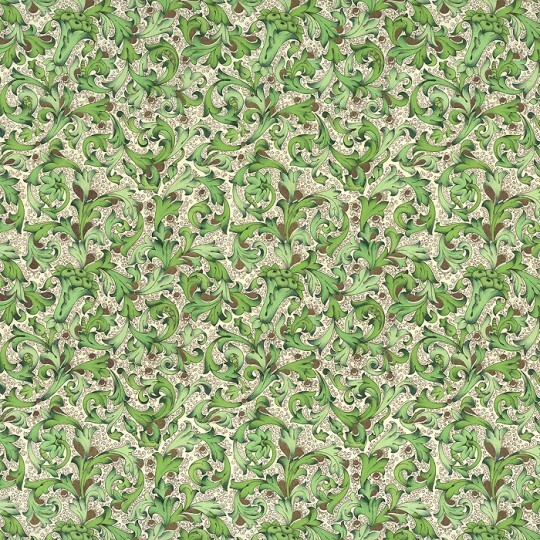 Each small flower measures 3/8" across. Acid free and printer friendly. Made in Italy by Carta Varese. Paper weight is 100 gsm and background is a warm deep ivory color. 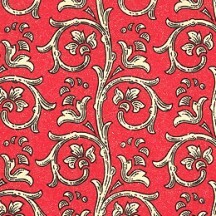 1 sheet measuring 19.5" x 13.5" of stylized floral print Italian paper featuring blossoms and leaves in red. Acid free and printer friendly. 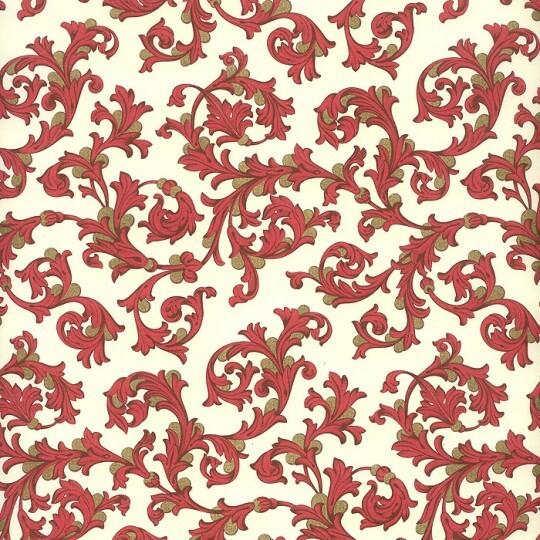 Printed in Italy by Tassotti. 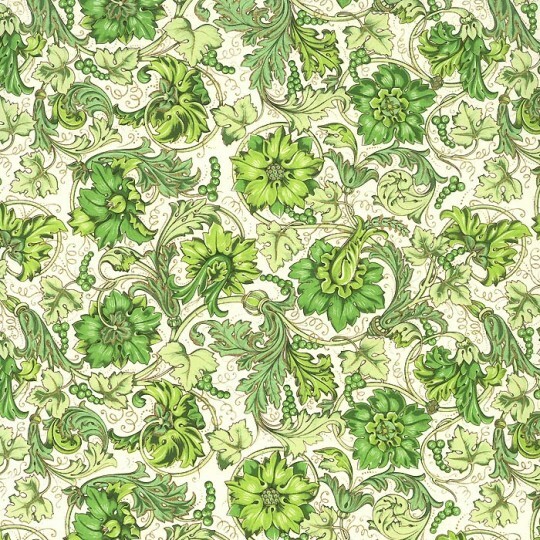 1 sheet measuring 19.5" x 13.5" of petite flower print paper in green. 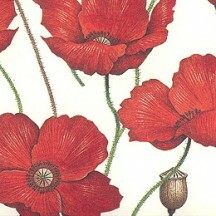 Each small flower measures 1/4". Acid free and printer friendly. Made in Italy by Carta Varese. 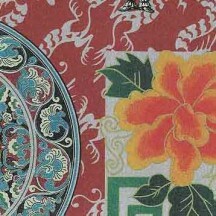 Paper weight is 100 gsm and background is a warm deep ivory color. 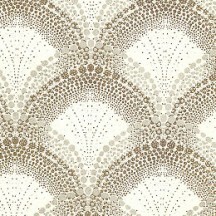 1 sheet measuring 19.5" x 13.5" of petite dot and floral print Italian paper in ivory and gold. Acid free and printer friendly. 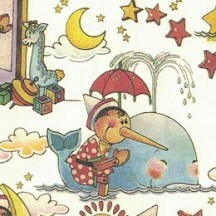 Printed in Italy by Tassotti. 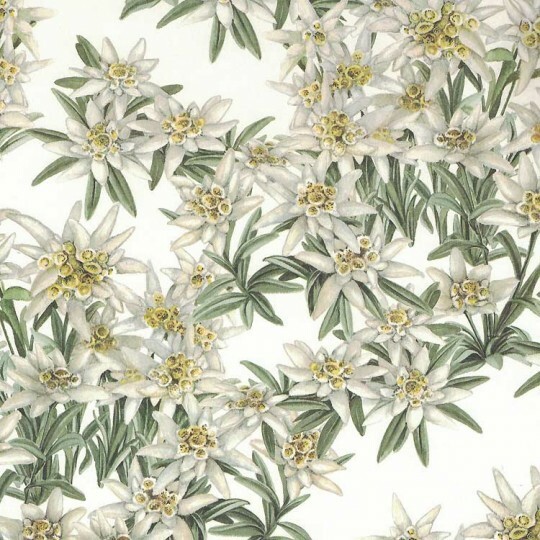 1 sheet measuring 19.5" x 13.5" of Italian paper featuring a print of mixed edelweiss flowers. Blossom measures about 1" to 1-3/4" across. Acid free and printer friendly. 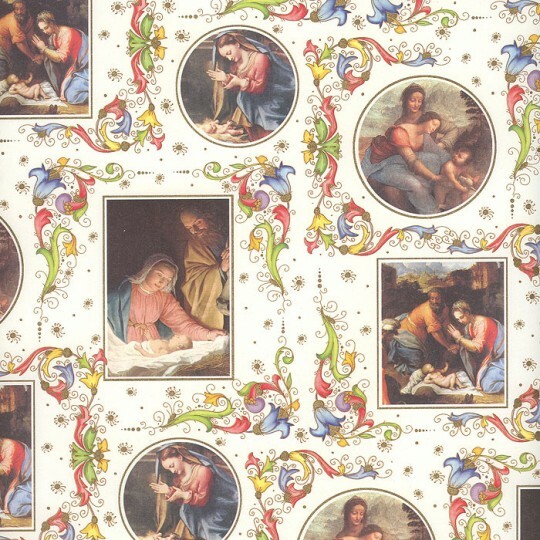 Printed in Italy by Tassotti. 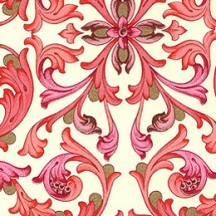 1 sheet measuring 19.5" x 13.5" of rose and leaf print paper in burgundy. 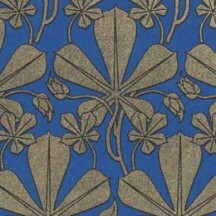 Each circular rose and leaf section measures 1" by 1". Acid free and printer friendly. Made in Italy by Carta Varese. 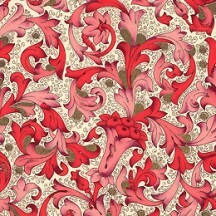 Paper weight is 100 gsm and background is a warm deep ivory color. 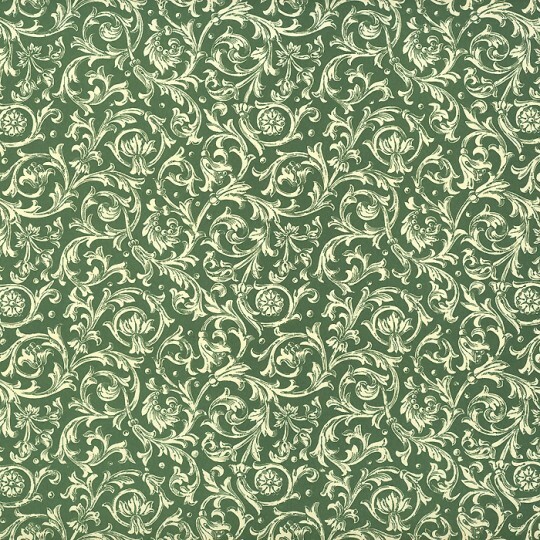 1 sheet measuring 19.5" x 13.5" of rose and leaf print paper in green. 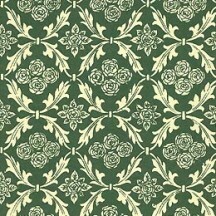 Each circular rose and leaf section measures 1" by 1". Acid free and printer friendly. Made in Italy by Carta Varese. 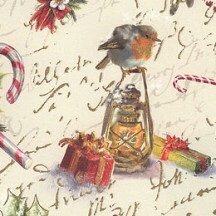 Paper weight is 100 gsm and background is a warm deep ivory color. 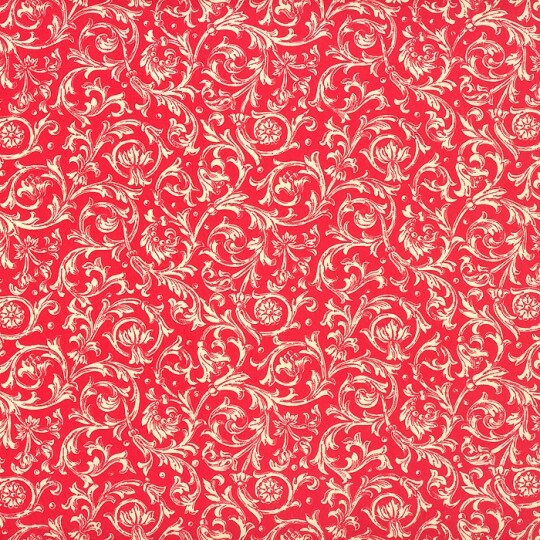 1 sheet measuring 19.5" x 13.5" of rose and leaf print paper in red. 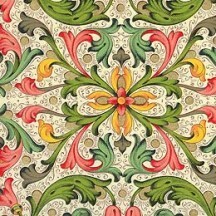 Each circular rose and leaf section measures 1" by 1". Acid free and printer friendly. Made in Italy by Carta Varese. Paper weight is 100 gsm and background is a warm deep ivory color. 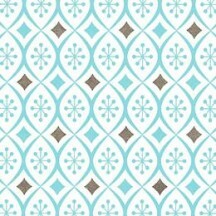 1 sheet measuring 19.5" x 13.5" of Italian paper featuring a beautiful print of snowflakes with golden accents. Acid free and printer friendly. 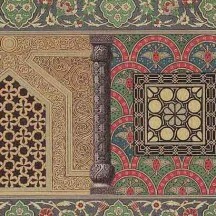 Printed in Italy by Kartos. 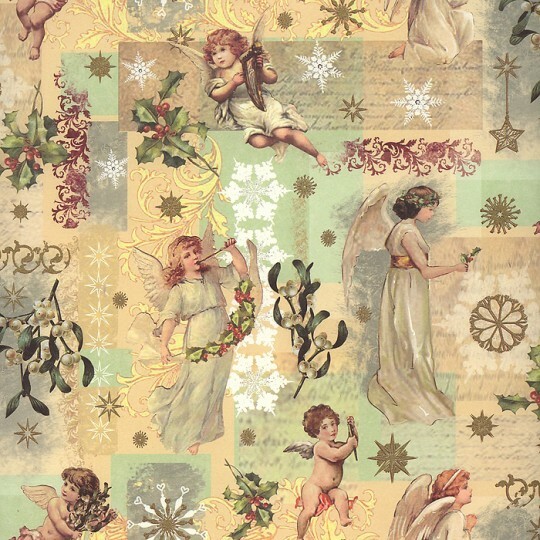 1 sheet measuring 19.5" x 13.5" of Italian paper featuring a beautiful collage print of ephemera, angels and greenery with golden accents. Acid free and printer friendly. 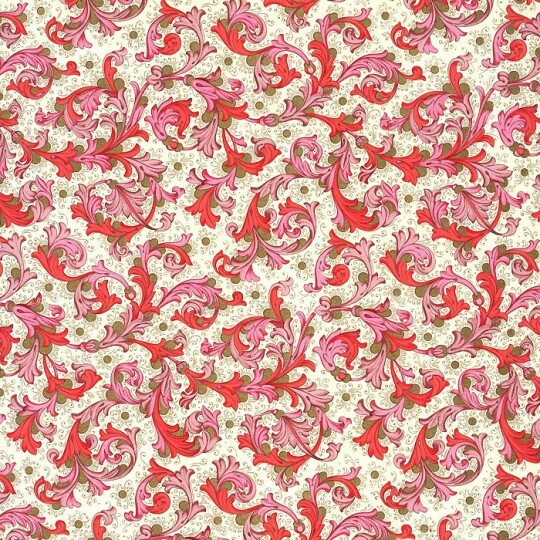 Printed in Italy by Kartos. 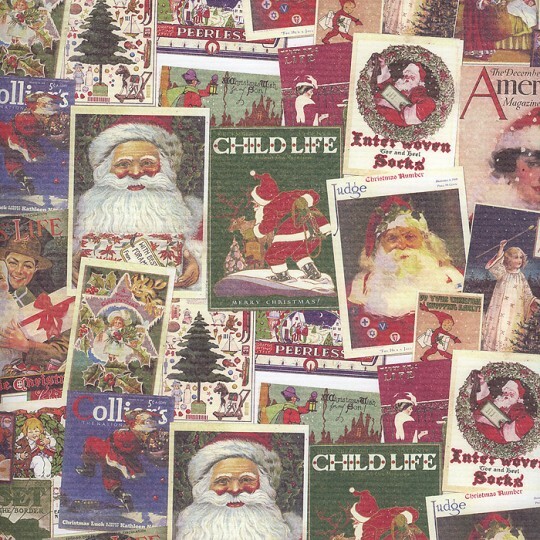 1 sheet measuring 19.5" x 13.5" of Italian paper featuring a collage of Christmas magazine covers. 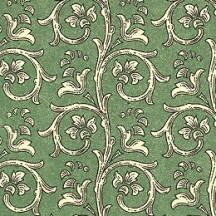 The green Child Life cover measures 2" wide by 2-3/4" tall. Acid free and printer friendly. 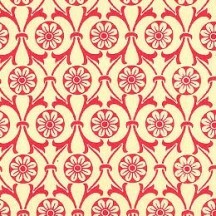 Printed in Italy by Kartos. 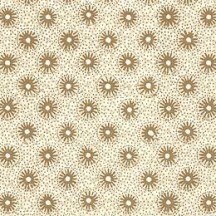 1 sheet measuring 19.5" x 13.5" of Italian paper featuring a beautiful print of light grey scallops with golden accents. Acid free and printer friendly. 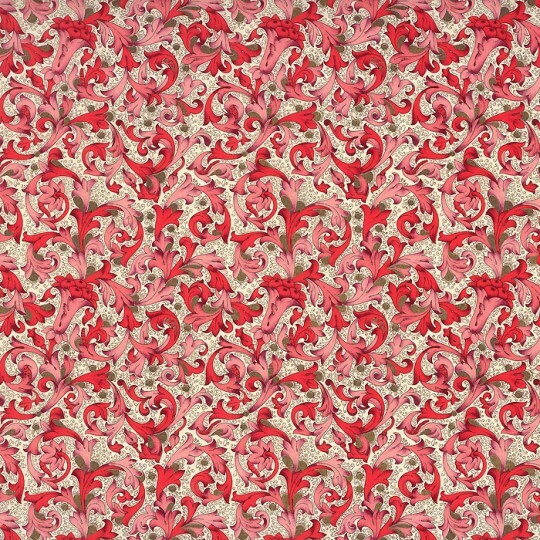 Printed in Italy by Kartos. 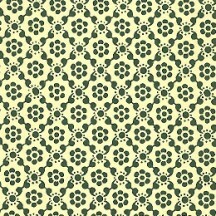 1 sheet measuring 19.5" x 13.5" of kitchen flower print paper in green. 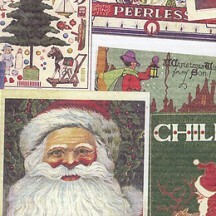 Each small section measures 1/2" by 5/8". Acid free and printer friendly. Made in Italy by Carta Varese. 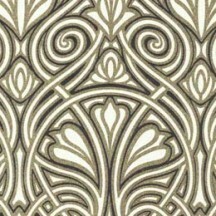 Paper weight is 100 gsm and background is a warm deep ivory color. 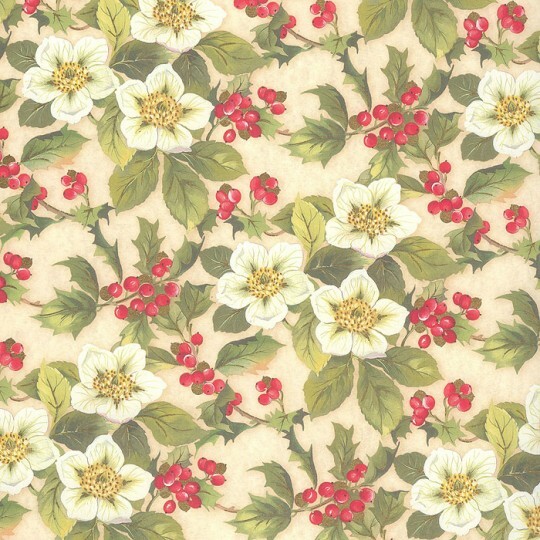 1 sheet measuring 19.5" x 13.5" of Italian paper featuring a beautiful print of roses, greenery and holly berries with golden accents. Acid free and printer friendly. 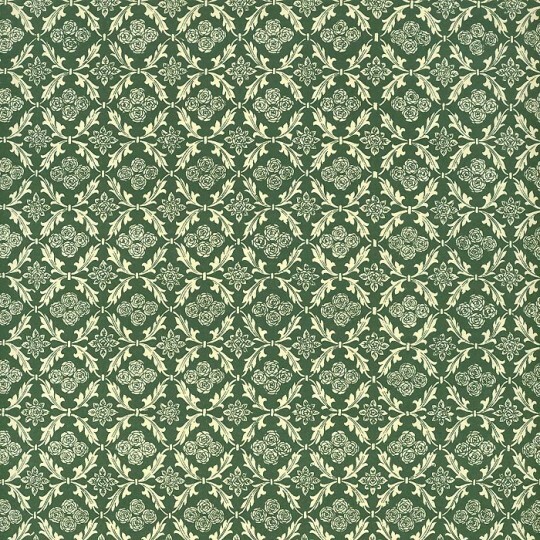 Printed in Italy by Kartos. 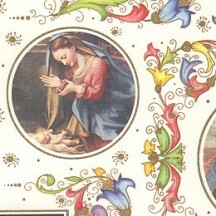 1 sheet measuring 19.5" x 13.5" of Italian paper featuring a mix of Nativity scenes and Florentine flourishes with golden accents. 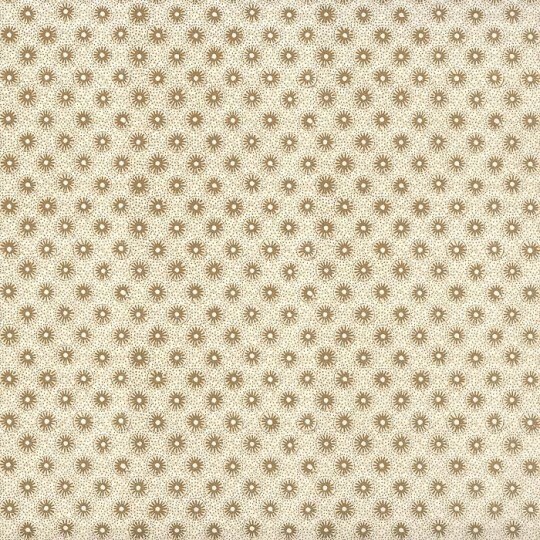 The largest circle vignette measures 2" across. Acid free and printer friendly. 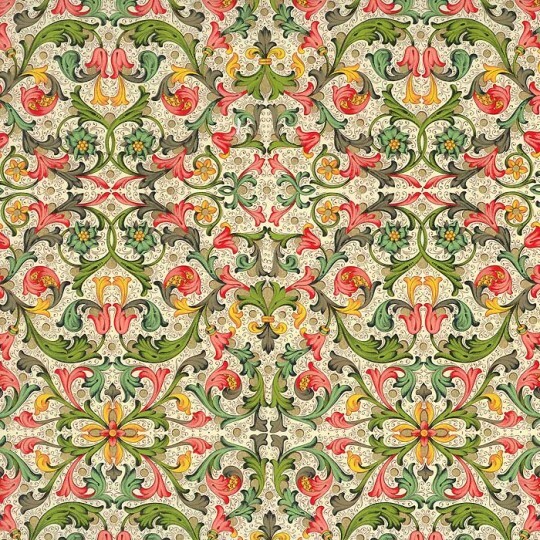 Printed in Italy by Kartos. 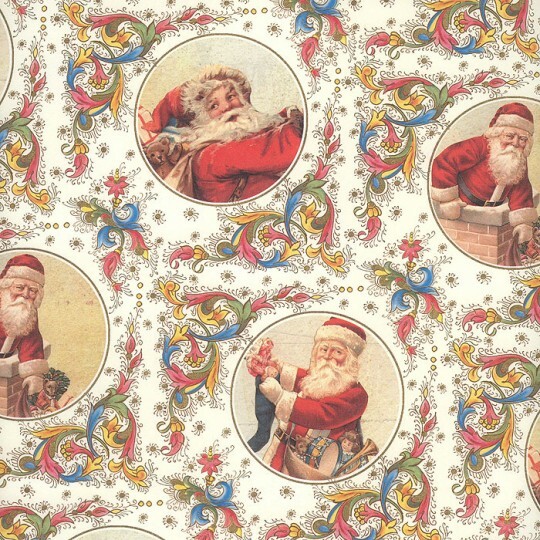 1 sheet measuring 19.5" x 13.5" of Italian paper featuring a mix of Santas and Florentine flourishes with golden accents. 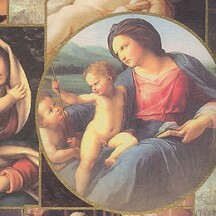 The circle vignette measures 2-1/2" across. Acid free and printer friendly. 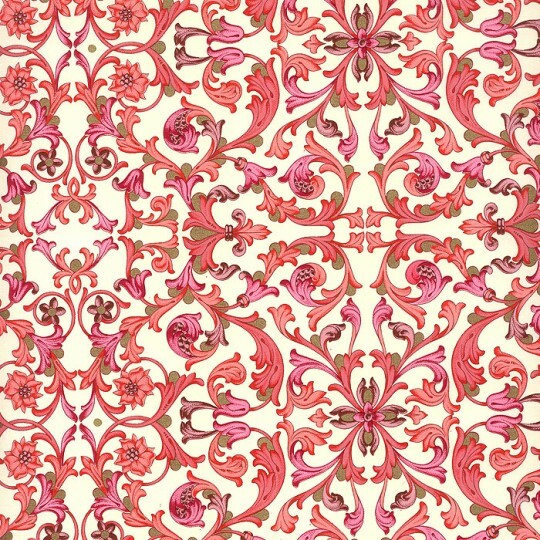 Printed in Italy by Kartos. 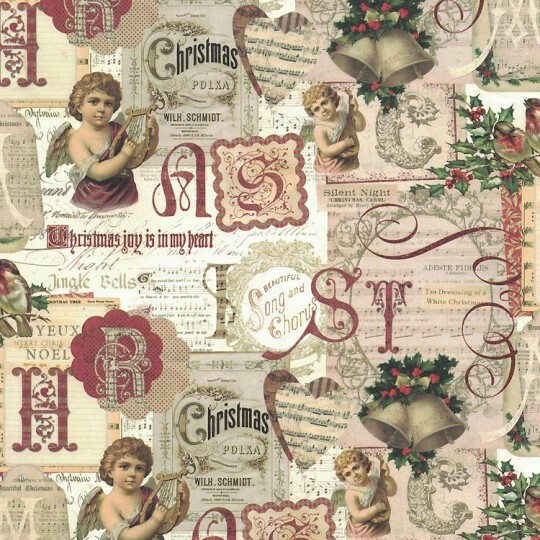 1 sheet measuring 19.5" x 13.5" of Italian paper featuring a pastel collage of vintage angels, holly and mistletoe and snowflakes with golden accents. 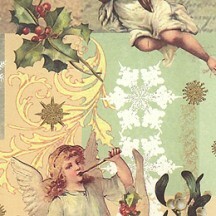 Tallest angel measures 3-1/2" tall. Acid free and printer friendly. 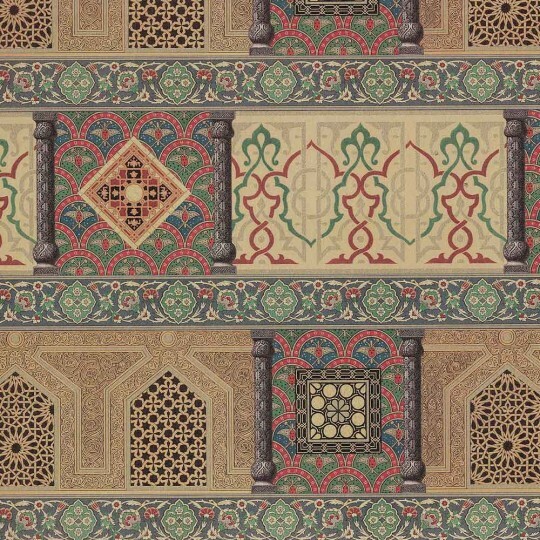 Printed in Italy by Kartos. 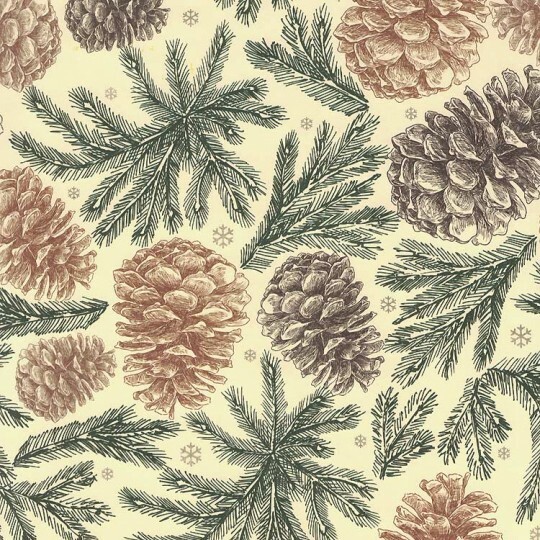 1 sheet measuring 19.5" x 13.5" of Italian paper featuring a beautiful pine cone print with golden accents. Acid free and printer friendly. 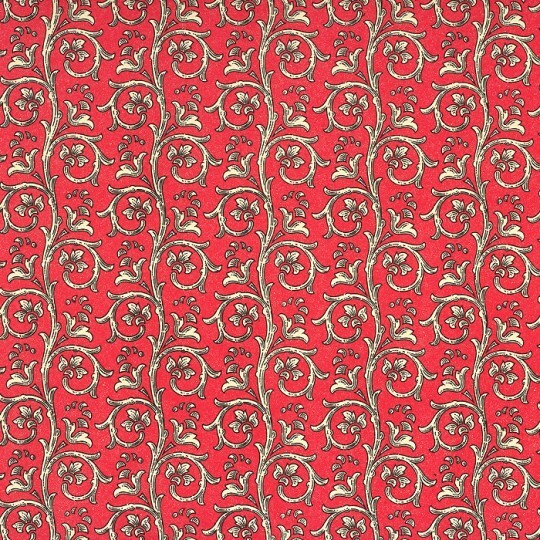 Printed in Italy by Kartos. 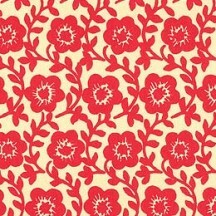 1 sheet measuring 19.5" x 13.5" of kitchen flower print paper in red. 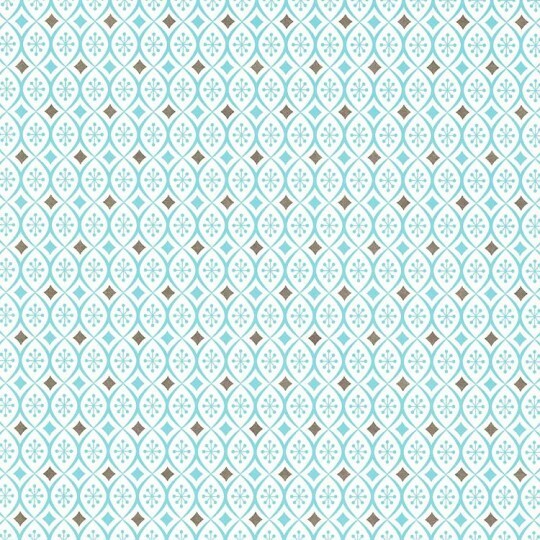 Each small section measures 1/2" by 5/8". Acid free and printer friendly. Made in Italy by Carta Varese. Paper weight is 100 gsm and background is a warm deep ivory color. 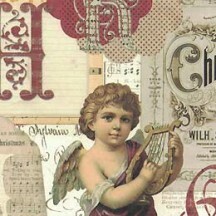 1 sheet measuring 19.5" x 13.5" of Italian paper featuring a collage of vignettes of Renaissance angels with golden accents. 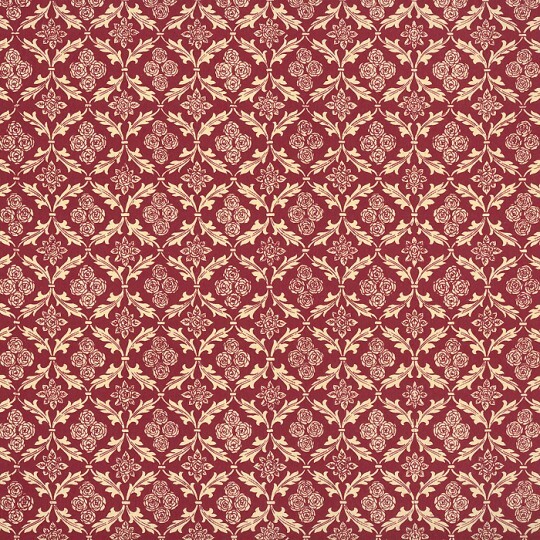 The circle vignette measures 2-3/4" across. Acid free and printer friendly. 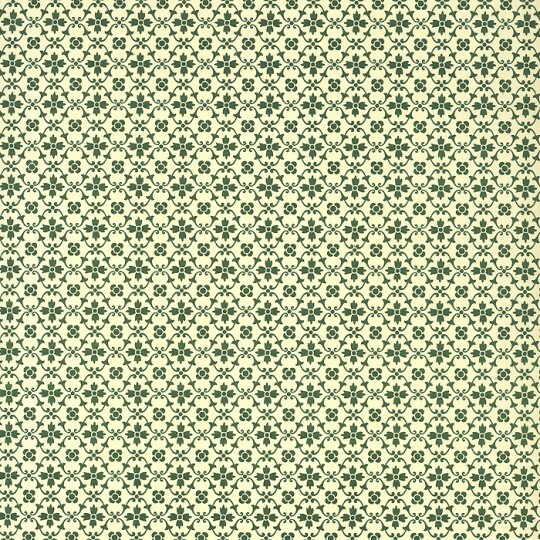 Printed in Italy by Kartos. 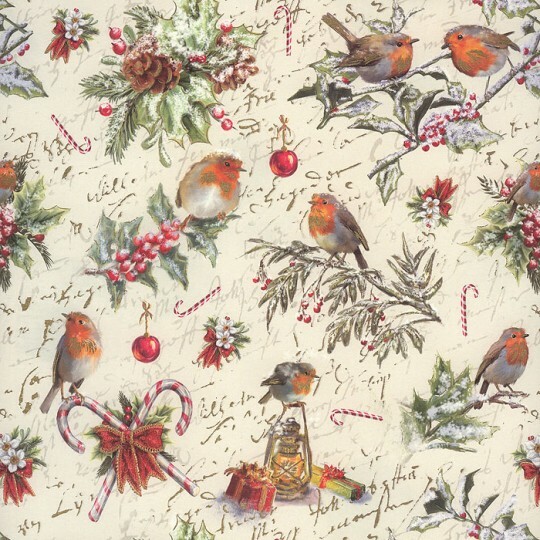 1 sheet measuring 19.5" x 13.5" of Italian paper featuring a beautiful print of robins, greenery and holly berries with golden accents. Acid free and printer friendly. 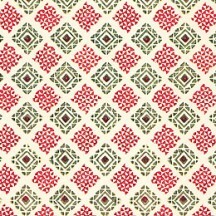 Printed in Italy by Kartos. 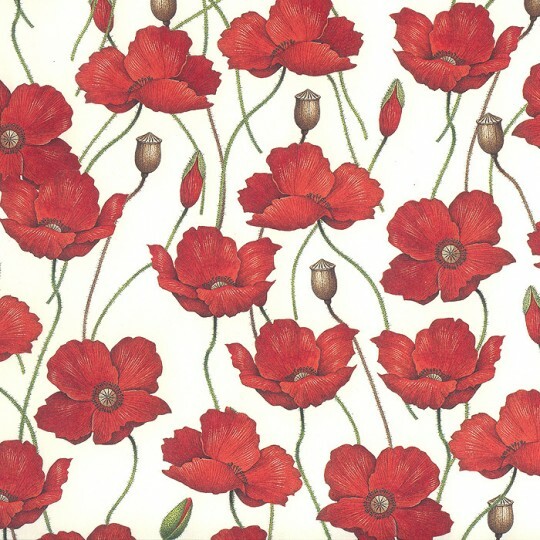 1 sheet measuring 19.5" x 13.5" of Italian paper featuring a mix of red poppies. Flowers measure just under 2" across. Acid free and printer friendly. Made in Italy by Rossi. 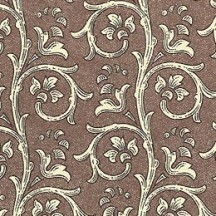 1 sheet measuring 19.5" x 13.5" of dappled garland print paper in brown. 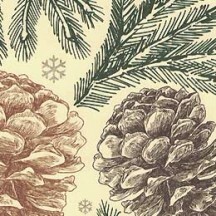 Each garland measures 1-3/4" wide. Acid free and printer friendly. Made in Italy by Carta Varese. Paper weight is 100 gsm and background is a warm deep ivory color. 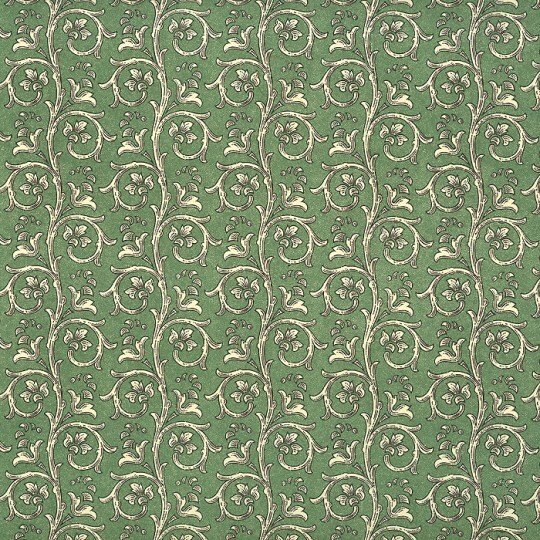 1 sheet measuring 19.5" x 13.5" of dappled garland print paper in green. 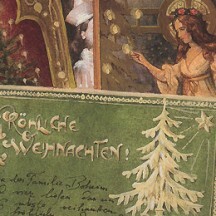 Each garland measures 1-3/4" wide. Acid free and printer friendly. Made in Italy by Carta Varese. Paper weight is 100 gsm and background is a warm deep ivory color. 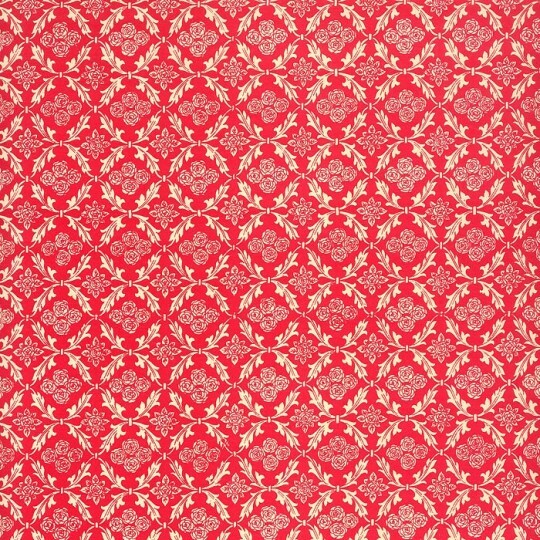 1 sheet measuring 19.5" x 13.5" of dappled garland print paper in red. 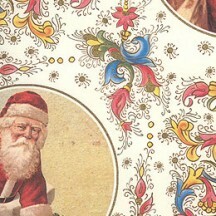 Each garland measures 1-3/4" wide. Acid free and printer friendly. Made in Italy by Carta Varese. 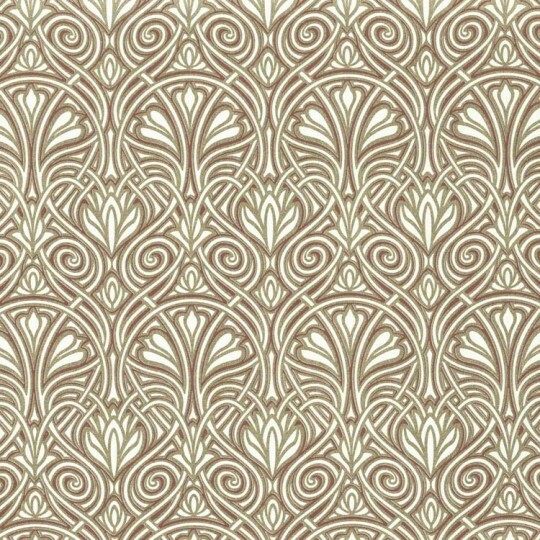 Paper weight is 100 gsm and background is a warm deep ivory color. 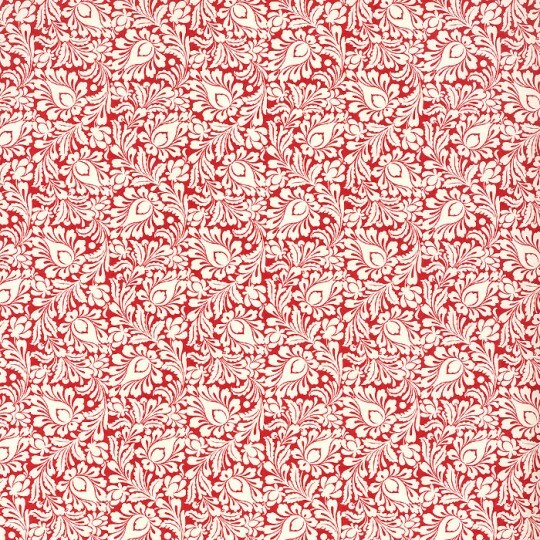 1 sheet measuring 19.5" x 13.5" of flower and leaf print paper in red. 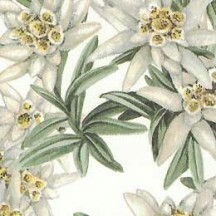 Each small flower measures 1/2" across. Acid free and printer friendly. Made in Italy by Carta Varese. Paper weight is 100 gsm and background is a warm deep ivory color. 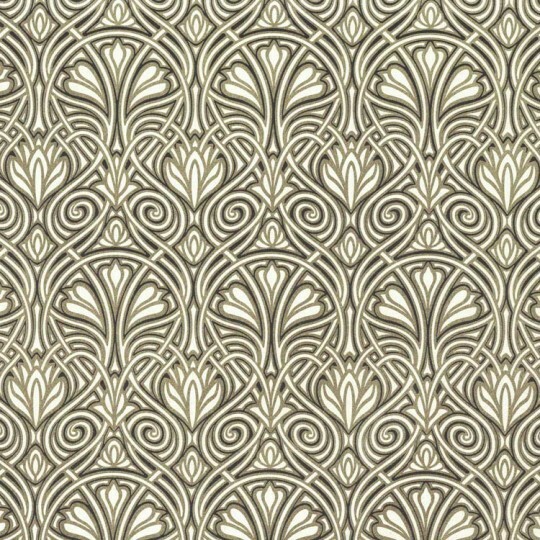 1 sheet measuring 19.5" x 13.5" of Italian paper featuring an art nouveau design in black and metallic gold. Acid free and printer friendly. Made in Italy by Rossi. 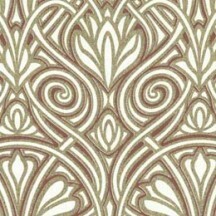 1 sheet measuring 19.5" x 13.5" of Italian paper featuring an Arabesque print on metallic gold paper. 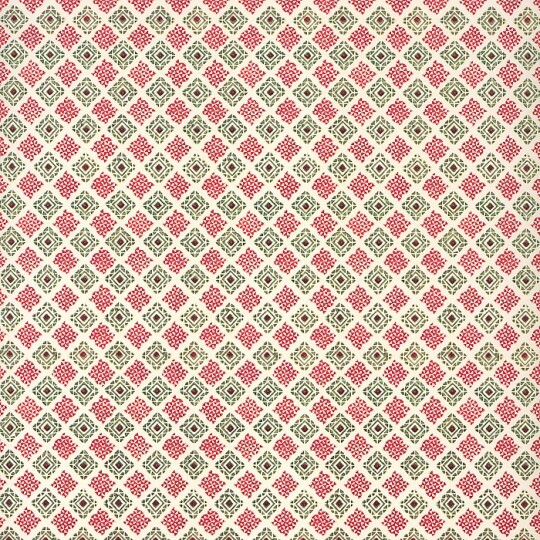 Large stripes measure about 2-1/2" wide; smaller stripes are 3/4" wide. Acid free and printer friendly. Made in Italy by Rossi. 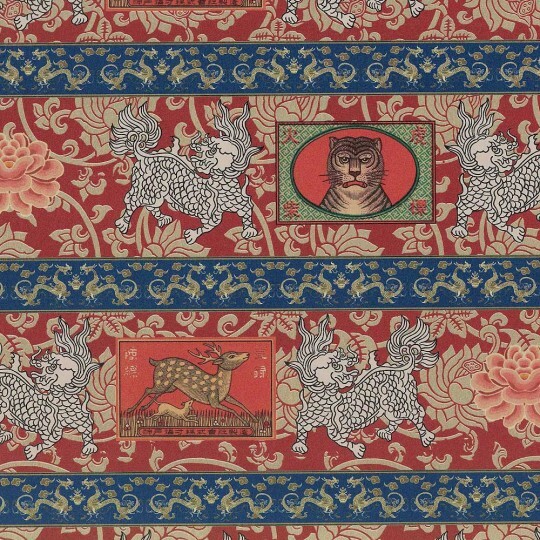 1 sheet measuring 19.5" x 13.5" of Italian paper featuring a Chinoiserie print on metallic gold paper. 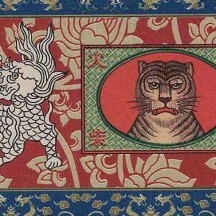 Chinese dragons measure about 2" x 2"; blue stripes are3/4" wide. Acid free and printer friendly. Made in Italy by Rossi. 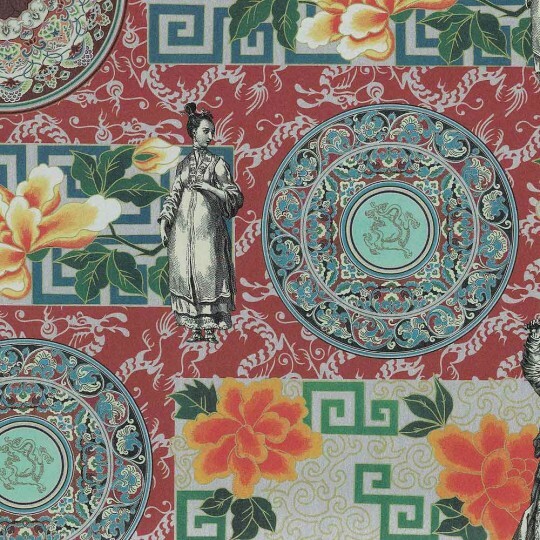 1 sheet measuring 19.5" x 13.5" of Italian paper featuring a Chinoiserie print on metallic silver paper. Round medallions measure about 3-3/4" across. Acid free and printer friendly. Made in Italy by Rossi. 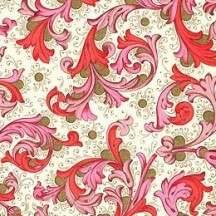 1 sheet measuring 19.5" x 13.5" of Italian paper featuring an art nouveau design in red and metallic gold. Acid free and printer friendly. Made in Italy by Rossi. 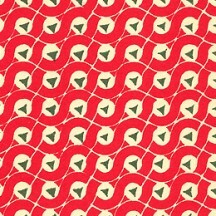 1 sheet measuring 19.5" x 13.5" of dot and wave print paper in a mix of red and green. 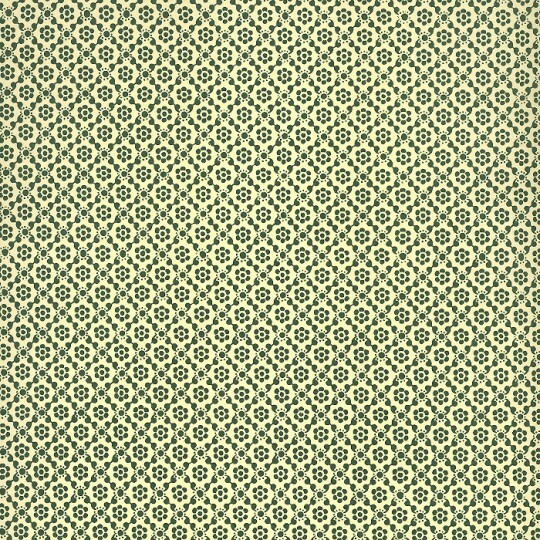 Circles measure 1/4"across. Acid free and printer friendly. 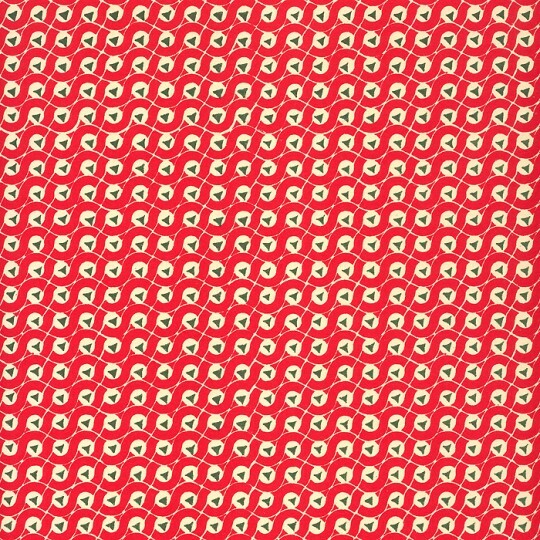 Made in Italy by Carta Varese. Paper weight is 100 gsm and background is a warm deep ivory color.